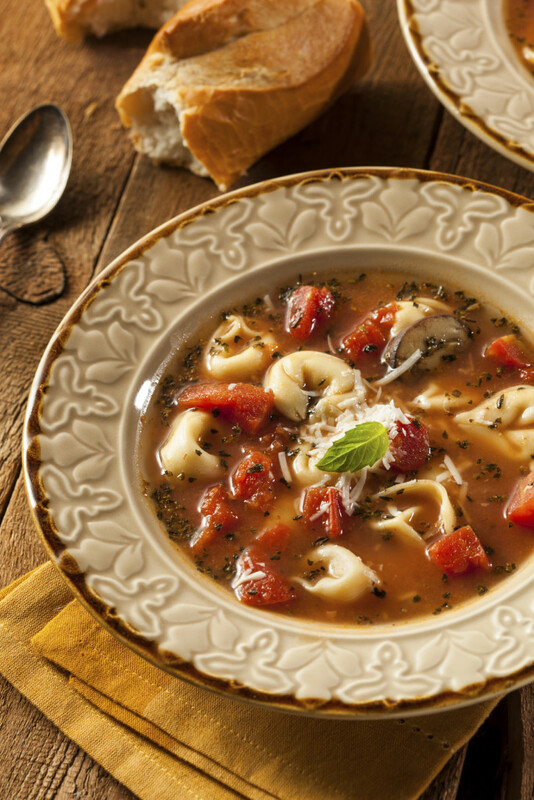 Mademoiselle calls and asks for this recipe regularly! So, here it is for easy access and for us to share. It was Mimi’s mother’s weekly go-to recipe to feed five hungry kids, each wanting either a pancake or a waffle. The recipe works perfectly for both and makes a particularly spectacular blueberry pancake. 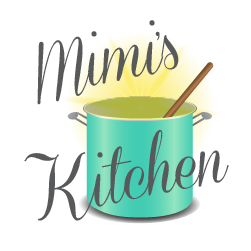 However, Mimi asks that you make her one important promise before you enjoy this recipe. Only use real maple syrup! That fake stuff does not do justice to the taste of the batter! 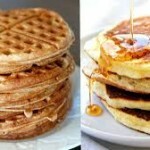 A versatile buttermilk pancake and waffle mix. Heat waffle iron or a griddle to 375 degrees. Butter griddle and waffle iron. Whisk dry ingredients together in large mixing bowl. Make a well in the center of dry ingredients. In another bowl or large measuring container combine buttermilk and eggs, mix well. Add cooled butter to liquids. Add wet ingredients into well of dry ingredients and mix quickly with a whisk. Using a 1/2 cup measure ladle onto griddle for pancakes or waffle iron. For, pancake wait until bubbles appear on top and then turn. About 2 minutes per side. Keep heated in a 175 Degree oven. Keep buttermilk powder on hand in the pantry so if you do not have the fresh buttermilk, you can make this substitution. Use only fresh blueberries. Frozen make the batter too runny. If using, simply scatter a few berries into the batter right after you pour on the griddle. Hey MDC, What are You Having for Cinco De Mayo? The MDC Margarita, of Course! The MDC loves a good cocktail, especially a good margarita! 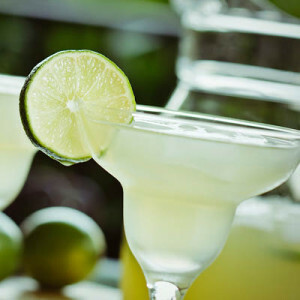 The MDC has his favorites, but he believes the rule of 3 is the key to the perfect margarita. Boil water, add sugar to dissolve. Cool. Keep refrigerated. 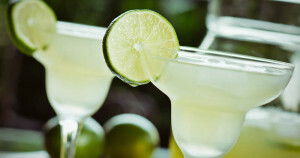 Add cup ice, shake vigorously, pour over ice in glass that has 1/2 rim salt covered, present with lime slice on rim, served on linen napkin then on silver platter. A truly luxurious serving and one heck of a cocktail. A drink must always be stiff, yet well-presented. If you are like Mimi, who needs hers a little sweeter, the MDC includes a little more (1 Tbsp) homemade simple syrup. The MDC gives his preferences in this week’s serendipitous finds! Notes: Don’t use margarita mix (for amateurs only). If you simply must use a mix, only use sweet and sour mix versus the standard margarita mixer. Mademoiselle is practicing her entertaining skills and always looking to replicate family recipes. She’s been asking for a couple lately so we thought we would share, just in case you need some tried and true old-school appetizers, for the new “pre-game” set. 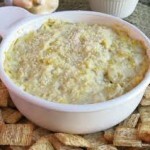 So, if you are hungry for a couple of hearty appetizers try Mimi’s Artichoke Dip and Garlic Cheese Roll! Enjoy! 2 14 oz. cans artichokes (whole or quartered) drained. Combine all ingredients, adding garlic powder, salt and pepper to taste. 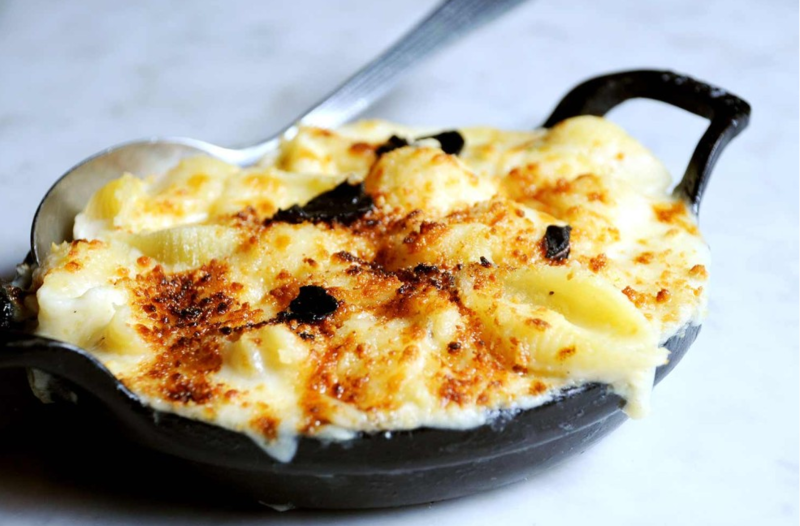 Pour into an ovenproof dish. Top with remaining 1/4 parmesan cheese. Bake for 20-30 minutes until bubbly and lightly golden brown at corners. Chop up artichokes into small chunks. Combine all ingredients same as above. Best served with hearty wheat crackers (Pepperidge Farm Harvest Wheat), Triscuits or melba toast rounds. Mimi is a purist, but you may also add kale or spinach for an even heartier dip. A delicious slightly spicy and highly addictive cheese spread! Add all other ingredients EXCEPT paprika and chili powder. Mix paprika and chili powder together. Spread evenly on a piece of waxed paper or parchment placed on a flat surface. Dust hands lightly with flour and shape cheese mixture into roll/ball or shape of choice. Roll in paprika and chili powder mixture. Wrap in waxed paper and refrigerate for 12-24 hours before using. The longer it sits the better it gets! You can also add chopped fresh herbs (chives, rosemary, parsley) to the paprika and chili powder mixture for additional flavor. Serve with your favorite crackers, veggies or charcuterie meats! 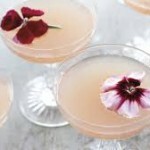 Easter was early this year and we are ushering in Spring with a fantastic refreshing cocktail! If you have not had a Spring Awakening cocktail – now is your chance. You can follow the recipe or add your own twist with your favorite fresh juice and garnish with flowers or herbs! Enjoy! Rinse a chilled coupe with absinthe. Rim glass with sugar. In a shaker, combine the remaining four ingredients, shake with ice and fine-strain into absinthe-rinsed coupe. You can also use strawberry puree or your favorite juice in lieu of the grapefruit juice. If you do not have Lillet on hand you can substitute champagne! And, don't worry if you don't have any absinthe, it is purely optional and you may be better off in the morning without it! 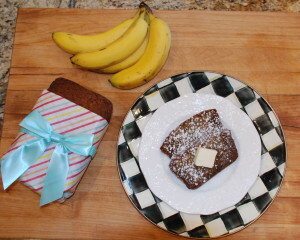 Celebrate National Banana Bread Day! Although, there are no known origins of this holiday, it is homage to the banana! It is a tribute to all the cooks who developed banana bread recipes to use up those overripe bananas. Mimi’s bread always gets rave reviews. It makes three large loaves or delicious cupcakes too! You can even make a simple cream cheese icing to sweeten things up! Now go make some banana bread! Mimi likes to talk about her banana bread and its special powers. Its ability to make your house smell like heaven, please the pickiest of eaters, keep your teenager at home on a weekend, make your housekeeper stick around for another hour free of charge, keep your postman delivering at the door, and your vendors ready to return on a moment's notice if they think you will give them a fresh-baked loaf or even one from your freezer. Preheat the oven to 325°. Butter and flour three loaf pans or spray with nonstick cooking spray. In a large bowl or mixer bowl, combine the softened butter, eggs, sugar and bananas. Mix until somewhat smooth. Batter will have some banana lumps. In another large bowl add remaining dry ingredients of flour baking soda and salt. Sift dry ingredients together. Fold the flour mixture into the butter banana mixture until well incorporated. Pour into prepared loaf pans. Bake for approximately 1½ hours, checking with a wooden pick inserted into center at the one hour mark, until it comes out clean. Cooking time can vary depending upon whether you use glass or metal loaf pan. The secret to this recipe is very ripe bananas. Mimi has a freezer full of ripened to almost black bananas which she simply thaws to room temperature in the sink. They are so ripened that they mix into the wet ingredients without processing or smashing. They will seem very gooey but that is the secret to this recipe’s success. Add them straight to the wet ingredients from the peel. Oh baby it’s cold outside! 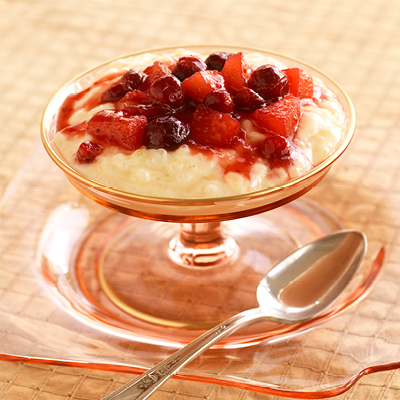 Let’s enjoy a warm comforting dessert on a cold night. This recipe is so easy, and the results are so yummy! In a medium saucepan, whisk egg and milk. Let set a few minutes. Stir in vanilla to taste. Cool briefly and pour into small serving dishes if serving warm. If serving chilled, place plastic wrap directly on top of tapioca and refrigerate. 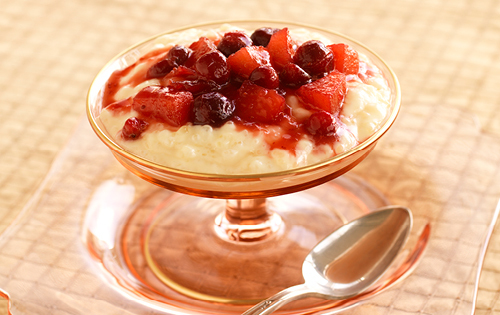 You can serve with or without fresh or stewed fruit on top. For best taste use whole milk or 2%, but other milks can also be used. Enough about the pie and the crust! 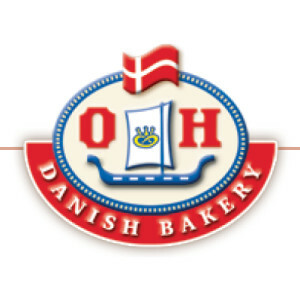 Mademoiselle’s here to talk about making the holidays easy with Kringles from O & H Bakery in Racine Wisconsin. It’s our recommendation that after cooking a Thanksgiving or Christmas meal every cook deserves a break so why not order in a couple of these Kringles for your crowd? 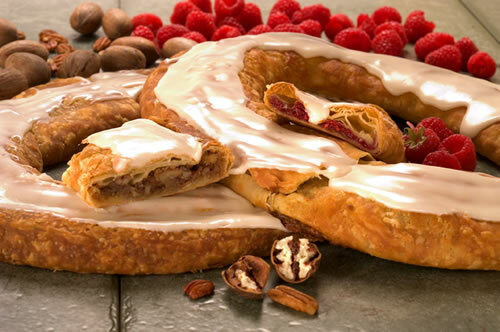 Our favorite is the Pecan/Raspberry Pair. These make gift giving and feeding a crowd easy! Mimi still thinks it’s too hot to cook so she is sharing another of her favorite “out of the kitchen” destinations, CUT 432 in Delray Beach, Florida. 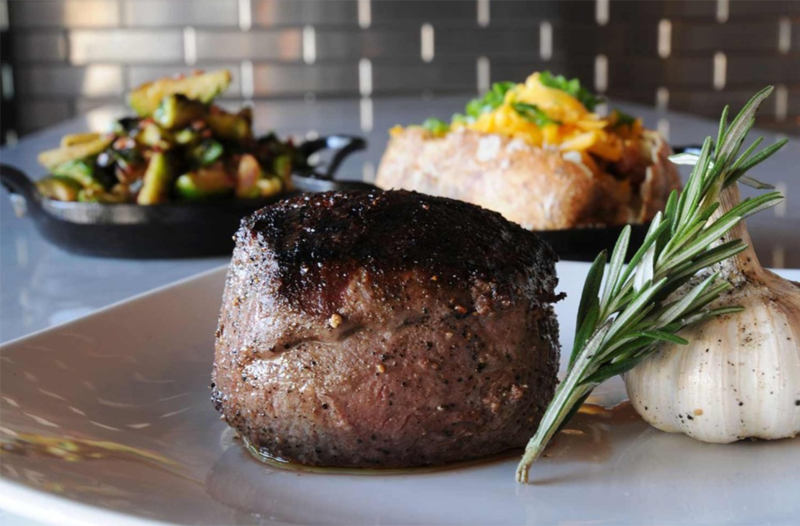 Normally when in Florida you do not think of a steakhouse for dinner, but fear not, this is not just a great steakhouse, it is an awesome steakhouse with many other offerings other than just USDA Prime dry-aged beef sourced from the country’s top ranchers and artisanal producers. It is worth the drive from any surrounding south Florida destination, plus it’s a very pretty drive down highway A1A. First, you must know that the restaurant serves homemade biscuits with jam and honey. Yes, biscuits. The good kind. And you can get as many as you want. Yum! The MDC recommends an appetizer of the lobster bisque or the seafood tower; dinner, the 12 oz. filet and as sides the Parmesan truffle fries and jumbo asparagus. Mimi recommends the foie gras sliders and the wedge salad to start, small filet (with any of the recommended sauces) and creamed corn. Mademoiselle recommends the grilled artichokes, shrimp cocktail, Atlantic salmon and either the truffled or lobster mac -n-cheese. Admittedly, every time we have eaten there we have been too full for dessert, but we are assuming they are fabulous. However, if you want to take home a dessert we do have a secret. A few doors down from CUT432 is a famous candy shop, Kilwin’s Chocolates. You can get delicious chocolate covered anything or homemade ice cream for the ride home or after you have recovered from the meal at CUT432. Enjoy your out-of-the-kitchen time at CUT432 or Kilwins! They are not to be missed! It’s too hot to cook and Mimi wants out of the kitchen! First up is Mimi’s favorite Palm Beach restaurant so far: Renato’s. This fancy but friendly Worth Avenue gem has a lovely open air atmosphere in season and an elegant intimacy in the off season. The menu has great seasonal offerings as well as established dishes. Since Mademoiselle is blazing her own epicurean trail in Paris this summer, the MDC and Mimi took the boys and our friends to experience both Renato’s on Worth and their more casual sister restaurant, Al Fresco. Al Fresco not only makes delicious pizza, but also serves breakfast! Although Mimi says you cannot go wrong with any dish at Renato’s she recommends her favorites, the Insalata Di Barbabietole (beet and goat cheese salad), the Pappardelle Con Vitello e Funghi (pappardelle pasta, mushrooms and veal) and of course, the tiramisu. The MDC likes the Risotto all’Aragosta (saffron risotto and shellfish), but ends up eating what’s left of the truffled papperdale. Our friend’s spinach ravioli was rich and delicious down to the last bite. Renato’s has a very extensive wine and cocktails list. 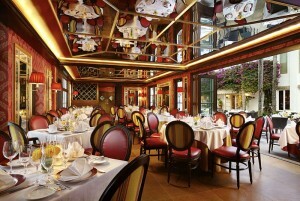 The Maitre’d and staff are friendly and service-oriented. 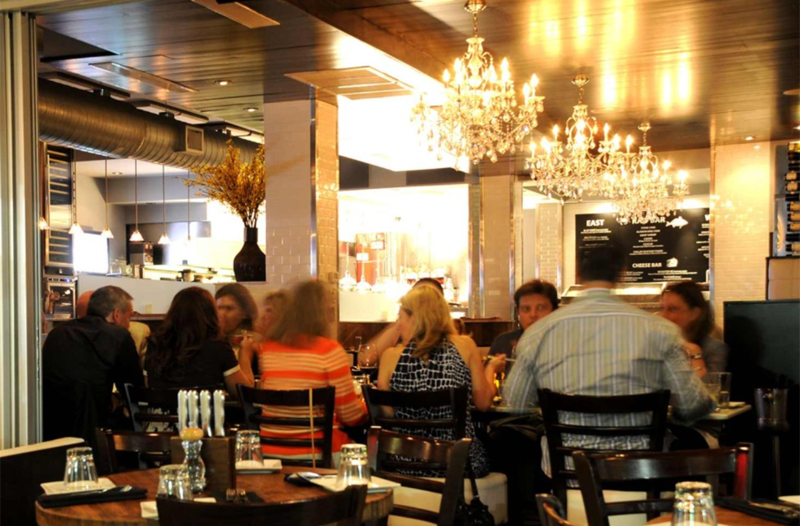 Mimi highly recommends it when you find yourself in Palm Beach. In season or not, get reservations as the good places are always busy! Next Stop… CUT 342, Delray Beach!